As BC mining accelerates, Fair Mining Collaborative joins with First Nations people and local communities in British Columbia in the quest to shape the future for families, land, water, and wildlife. Fair Mining Collaborative provides technical and practical assistance around the issues and impacts of mining. We spend time in communities to provide two-way knowledge sharing for strengthening local capacity to manage the full spectrum of mining concerns: mapping traditional resource inventories and raising awareness of social impacts; staking, permitting, exploration; and operation, closure and reclamation. Grandson of Louis A. Romanet (“Kabluk of the Eskimo”) and resident of Victoria, BC, Glenn has a Juris Doctorate from the Peter A. Allard School of Law, University of British Columbia, with a focus on Aboriginal Law, inherent rights, and self-determination. He also holds a Bachelor of Arts degree through Thompson Rivers University and a Bachelor of Education degree from Vancouver Island University. A certified teacher, Glenn has taught all grade levels and designed our training programs: First Rock: Mining Justice Basics, and Two Canoes. Growing up in the heart of Alberta’s “coal branch” between Edmonton and Jasper, he watched the land around him expropriated and literally devoured for coal, then “reclaimed” – learning first-hand the lessons of mining’s destructive power, our enabling dependency, and its irrevocable cost to the land. 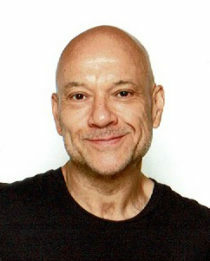 Glenn is of European and Aboriginal (Cree) ancestry, and while in law school, volunteered on the board of directors at the Vancouver Aboriginal Community Policing Centre. Among many trades and talents, Glenn also served as a soldier in the Canadian Armed Forces. Stan Tomandl, MA, PWD (Process Work Diplomate) brings his decades of experience, deep knowledge of BC mining in general, and love of the Transboundary region to our cause, and informs all of FMC’s work. Stan legacy of group process facilitation work has served FMC (and many others) for decades, and grounds FMC with the strength to endure the challenges, and the wisdom to rejoice in the victories. Stan has studied for 60 years in the school of life while ranching, wilderness homesteading, commercial fishing, raising seven children, navigating remote rivers in northern Canada, and now enjoys the wilds of city life. 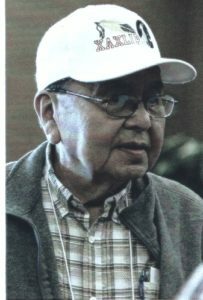 Fred John is and Elder and respected member of Xaxli’p First nation, near Lillooet, B.C. At a very young age, Fred was taken from his home to St. Mary’s Residential School in Mission BC. For the next 10 years, Fred lived between St. Mary’s and Coqualeetza Hospital and did not come home again until he was 15. His remarkable resilience and love helped heal the wounds of those years and guided him to the extraordinary man that he is. Fred currently lives in Vancouver, and is a vital part of the staff, teaching children in 3 Aboriginal Head Start programs in the Lower Mainland. Fred also works healing people from illness and addictions and is a regular visitor and practitioner at hospitals in Vancouver where he provides traditional healing for patients. A group of dedicated and knowledgeable individuals serve on the Board of Directors of Fair Mining Collaborative, supporting the organization to help preserve the earth and waterways and keep resource developments respectful to the needs of communities and the environment. Alan continues to be instrumental in assisting with our strategic plan, fundraising, program development and implementation. Alan is the Corporate Program Director of the Canadian Boreal Initiative. Treasurer Brent provides financial oversight as a Certified Public Accountant. Alan is an Adjunct Professor in the Economics Department at the University of Victoria who assists FMC with determining the costs and benefits of mining. 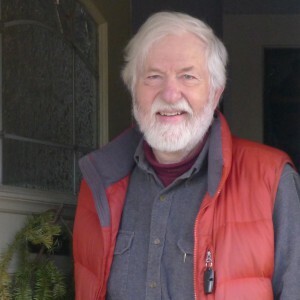 Stan has been involved with people and environmental issues, land use planning, and community engagement for over 25 years as consultant, counsellor, educator and group facilitator; devoted to individuals, families, and communities during times of transition. 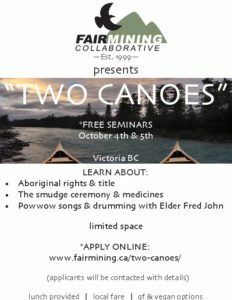 Fair Mining Collaborative (FMC) provides values based, credible technical and strategic guidance to communities, First Nation Leadership groups, and political decision makers with the intention of building capacity to make informed land-use decisions that foster healthy sustainable communities and ecosystems. We are a Charitable foundation who partners with our clients to build knowledge of mining impacts and benefits so they can fully participate in fair land-use decision making processes that affect their future. We assist communities with reaching their intended outcomes, we don’t advocate for a particular outcome.